The Huntingdon College Hawks Women’s Soccer ID Camp will be on the 12th of August at the Huntingdon’s soccer and softball fields. It is open for female soccer players from grade 9 and up. This soccer ID camp brings an opportunity to train under the supervision of the Huntingdon College women’s soccer coaching staff. Its objective is to provide a motivating and fun training experience. The training sessions and instructions will focus on improving the technical and tactical capabilities of the participants. Also, the program includes small-sided and full-sided games that allow players to showcase their skill. In addition, the goalkeepers will have their own skill specific sessions. Check-in will start at 8:30 AM. Huntingdon College, originally Tuskegee Female College, is a private, coeducational, liberal arts college in Montgomery, Alabama. It is an affiliation of the United Methodist Church. The college has an accreditation from the Southern Association of Colleges and Schools. It is a top performing academic institution and in fact, it is 13th in Regional Colleges South 2018 edition of Best Colleges rankings. It is also top 8 in the Best Value Schools rankings. The institution currently accommodates around 1,100 students. It has an acceptance rate of 57 percent while its student to faculty ratio is 14:1. In athletics, the Huntingdon College fields 15 intercollegiate sports teams in the USA South Athletic Conference of NCAA Division III. The college’s athletes’ nickname is Hawks and their official colors are scarlet and gray. The Huntingdon College Hawks women’s soccer team head coach is Matt Gill. He is leading the women’s soccer program since March of 2016. Coach Matt Gill is the former Virginia Wesleyan College women’s soccer assistant coach. Furthermore, Coach Gill has a Masters of Science in management degree from Mount Ida College. During his playing days, Coach Matt Gill has been a standout. In fact, he is a 2-time 2nd-team all-conference selection member. 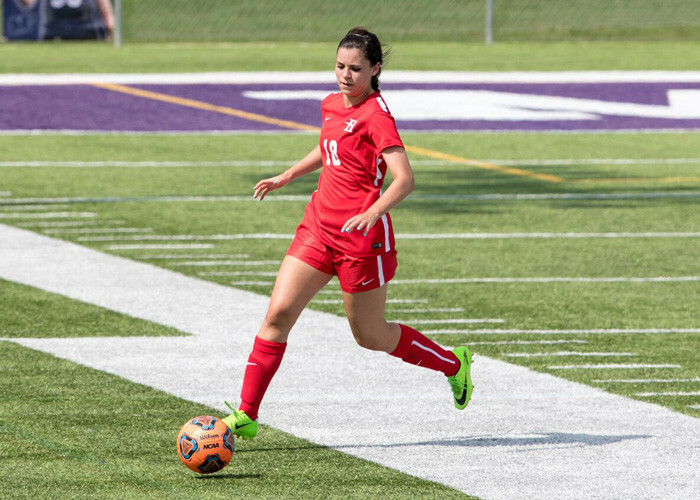 The Huntingdon College Hawks Women's Soccer ID Camp will be on the 12th of August at the Huntingdon's soccer and softball fields.